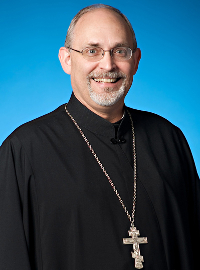 Members of the Department of Youth, Young Adult, and Campus Ministry (YYACM) support the efforts of local parishes, communities and dioceses across North America to nurture the spiritual growth and formation of our children, youth and college age students, helping them reach their full potential as Orthodox Christians. The Department also partners with other departments within the OCA and the youth and young adult departments of each jurisdiction in North America, as well as the Eastern Orthodox Committee on Scouting (EOCS), the Orthodox Christian Fellowship (OCF), Syndesmos, and the Fellowship of Orthodox Christians in America (FOCA), encouraging collaboration in the development of resources and maintaining contact with youth, young adults, and college students of all ages. The OCA’s Department of Youth, Young Adult and Campus Ministry always welcomes those who are interested in joining our efforts, and asks you to join us in praying for the youth, young adults and college students of our Church.